1. 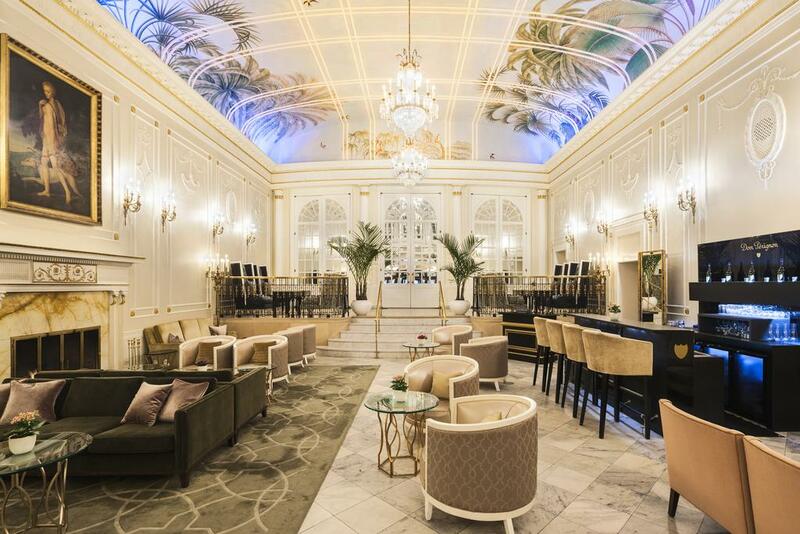 The Ritz - Recently renovated, but timelessly glamorous, the hotel boasts an in-house spa, nearby shopping, and prime-time proximity to the must-see Mont Royal sight! 1. Visit the Montréal Museum of Fine Arts. 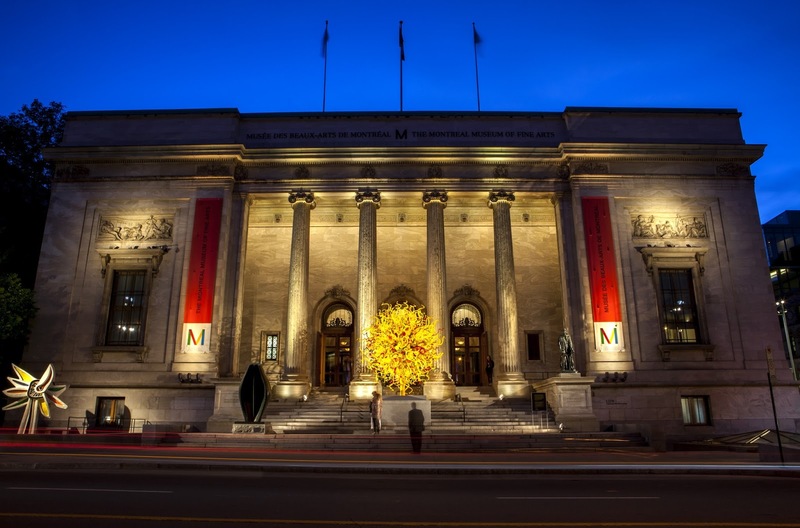 The museum has an impressive collection of modern and classical art and admission to the permanent collection is always free. 2. Climb Mount Royal in the morning. It is a great hike all year round and a majestic escape right in the middle of the city. 3. 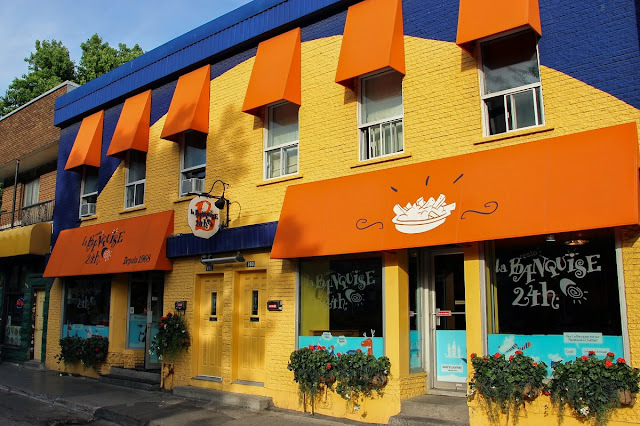 See the city by BIXI, Montréal's public bicycle sharing system. 5. Relax at the Scandinavian Spa Old Montreal with a traditional Scandinavian baths experience. 1. Holt Renfrew - Holt Renfrew is Canada's department store equivalent of Saks Fifth Avenue or Harrod's. 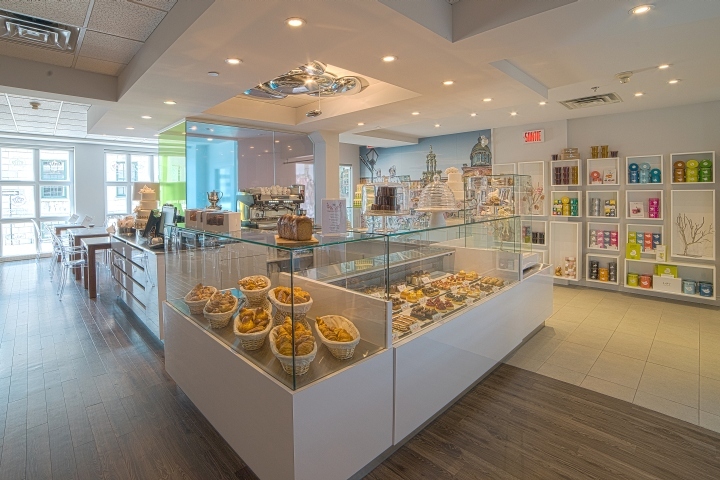 The ultra chic Holt's cafe is worth a visit if your shopping works up an appetite. 2. SSENSE - Montreal is home to the headquarters of the trendy e-commerce site SSENSE's and their only brick and mortar location. Development of a new 5-story concept store is currently underway and the new store will bring very similar vibes to a Dover Street Market in London or a Collette in Paris. 2. Olive + Gourmando - Olive + Gourmando is technically a glorified cafe and brunch spot with an amazing pastry selection. Grab a delicious granola bowl and split the chocolate banana brioche with someone who is good at sharing! 3. Mandy's - Vibrant salads are packed with superfood ingredients and millennial staples like avocados in extra-large and colorful china bowls. 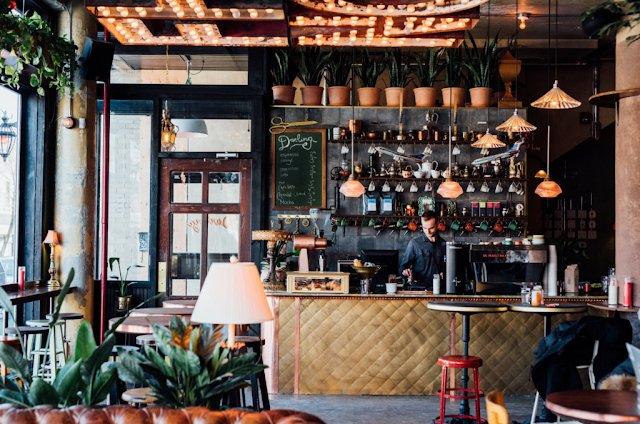 The location in Old Montreal has french bistro vibes with accents of palm trees and millennial pink. On your way out you can grab one of Mandy's signature china salad bowls, re-useable water bottles, compartes chocolate bars, kale chips, fresh pressed juice and other perfectly branded souvenirs. 1. St-Viateur Bagel Shop - If you do this right, you should be visiting the iconic and longstanding bagel shop and not the bagel cafe. Grab your bagels and cream cheese to go + eat them at a coffee shop around the corner called Felice. 2. 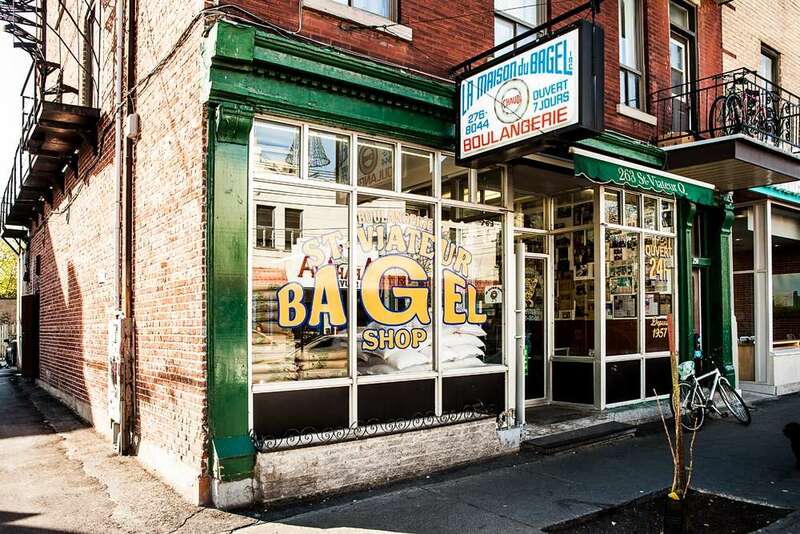 Fairmount Bagel - Fairmount is the rival to St-Viateur and makes another well-known and delicious Montreal bagel. 1. 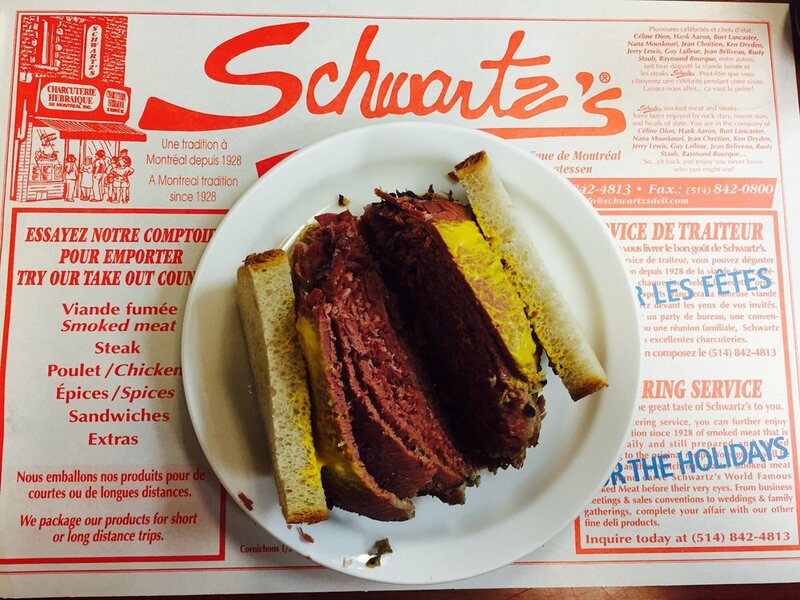 Schwartz’s Deli - This is Montreal's most famous deli and home to some of 'Canada's best smoked meat.' You can sit down for the full menu in the original location or pick up sandwiches at the to-go shop next door. Make sure to try the delicious mustard on top of whatever you order. Poutine is gravy, cheese curds, and fries. It sounds and looks gross, but tastes great. You MUST try for yourself to believe it. 1. La Banquise - La Banquise has over 30 variations of poutine, one of Canada's most treasured dishes. 1. 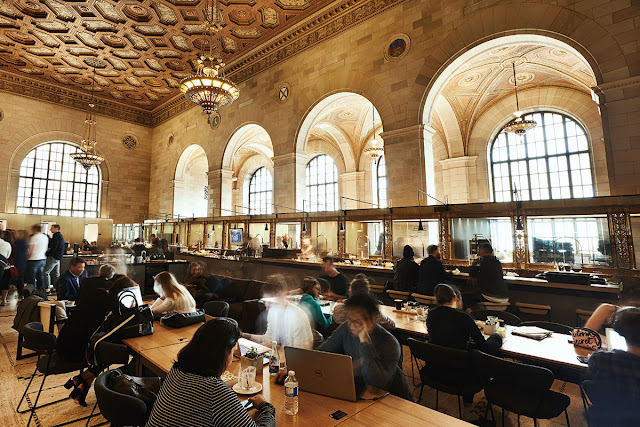 Crew Collective - The Business Development bank of Canada turned a grand and opulent unused-bank into a shared working space where you can grab coffee or book a working space or conference rooms. 2. Tommy Café + Apero - The two story coffee shop sits in a gorgeous historical building in Old Montreal and has an great selection of coffee, sweets, and sandwiches. 1. Bar Darling - Eclectic vintage decor and indoor greenery make Darling the perfect backdrop for drinks over a shared cheese plate. 2. Bar Henrietta - Bar Henrietta is a cozy hangout with romantic lighthing, great cocktails, and upscale bar snacks. Stop here if you want to fit in with the locals or need to fill time before a late reservation.